Although in recent discussions people mentioned they’re not that exited anymore about new releases of Windows Server, a new version of this Microsoft product for your datacenter has arrived yesterday. 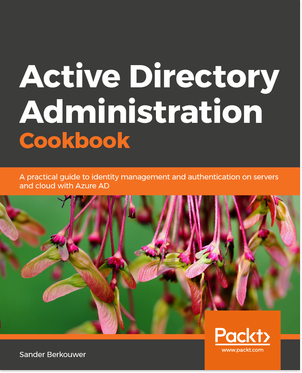 Recently, I discussed the features I was looking forward to a pre-release version of this Windows Server release from an Identity and Access Management (IAM) point of view. Of course, all these features are available, plus many more. Windows Server, version 1709, is the first release of Windows Server that delivers innovation for your applications and infrastructure faster. As part of the new Sami-annual Channel cadence, this release is designed to help modernize your applications, bring new levels of efficiency to your datacenter and streamline your transition to the cloud. Advancements include a dramatically smaller Nano Server container image optimized for .NET Core, the Windows Subsystem for Linux, support for new hardware innovations like Storage Class Memory, encrypted network segments, Linux Shielded CMs, and many more. A complete overview of What’s New can be found here. One of the things that is not that obvious, is that Windows Server, version 1709 is only available as a Server Core installation and as a Nano Server installation. The new management experience for Windows Server version 1709 is project Honolulu. Storage Spaces Direct is not included in Windows Server, version 1709. If you call Enable-ClusterStorageSpacesDirect or its alias Enable-ClusterS2D, on a server running Windows Server, version 1709, you will receive an error with the message “The requested operation is not supported”. Last but not least, running Windows Server version 1709 in your own on-premises production environment requires active Software Assurance. Windows Server version 1709 has build number 10.0.16299.15, but after installation of the October Cumulative Update, the version you’ll see is version 10.0.16299.19. You can download Windows Server version 1709, when you’re subscribed to MSDN. MSDN subscription can be bought as an add-on to Developer Tools, like Visual Studio. Of course, another way to get access to Windows Server version 1709 and Product Keys is to use the Volume Licensing Service Center (VLSC). Access to this portal comes with Software Assurance in the Microsoft Volume Licensing programs. Software Assurance consists of 31 advantages, but the most relevant one in the context of this blogpost is the next version right. When an organization purchases Windows Server with Software Assurance, this organization gains the right to run Windows Server version 1709. You can download it now. If you’re a Microsoft Partner, you can also get access to Windows Server version 1709. If your organizations employs at least two Microsoft certified professionals, can cough up three customer references and around $ 1500 per year, your organization can become a Microsoft Partner with a Silver Competency and enjoy all Microsoft software for production, testing and training purposes for free. (restrictions apply) If your organization doesn’t qualify for a competency, then you can become a registered member of the Microsoft Partner Community and purchase the Microsoft Action Pack. The Community membership is free for organizations. The Action Pack will set your organization back $ 329 per year. The MSDN Portal would be the portal where all the action is in terms of Windows Server version 1709. Evaluation versions of Windows Server, version 1709, are expected to arrive somewhere this week. When downloading bits sounds archaic to you, you can also spin up Windows Server-based virtual machines running Windows Server, version 1709 in Azure Infrastructure-as-a-Service (IaaS), starting somewhere this week. Is Honolulu installed on 1709 by default? If not is it still a technical preview or full release as the O/S is? If full release I would imagine it will be a feature, what is the feature name to be installed? Honolulu is not installed or configured by default on Windows Server 1709. You will need to install and configure it manually. More information is available here. Microsoft Windows Server 2016 is a very good OS. Now I want to upgrade to Windows Server 1709.